Since Hiroshima, scientists and science itself have been accorded the most flattering respect by the ordinary or nonscientific public. The scientists are listened to with the most earnest attention, even when they wander quite a bit out of their orbits and into the fields of foreign affairs and politics, where their opinions are no more professional than yours or mine. It was only a matter of time before radio began making its obeisance to the men of science. Science, or what passes for science, is now the subject of a couple of radio programs, "Dimension X" on KNBC (1 p.m. PST Sundays) and "2000 Plus" on KFRC. (7:30 p.m. PST Sundays). Others are coming up. I haven't heard "Dimension X" yet. I have heard "2000 Plus," though, and I'm afraid I'll have to report to the scientists that they are being maligned. In fact, this program may be a communist plot to restore science and scientists to their old position of low esteem. 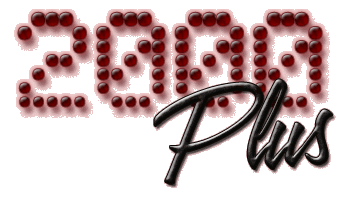 The general message of "2000 Plus," whose title refers to the 21st century, is about on a level with that of "Amazing Stories." The idea is that scientists are terribly terribly bright but that you have to keep an eye on them. They get possessed by devils from time to time, and, unless carefully watched, they'll smash things upwhole planets, preferably. One of the recent stories, something called "The Diamond Helmet," opened with the statement: "It is the spring of the year 2050. The trees are budding, the flowers are bursting but fear is present. A crisis has arisen." It,sounds, in fact, exactly like right now (except that the flowers in my vicinity aren't bursting). The difference is that the crisis is rather more deadly than our present ones, unlikely as that sounds. The planet NocturneI love that nameis hurtling toward the earth at the rate of 50,000 light years a minute (or something like that). The problem is to deflect it. As you can see our own crises are relatively minor. The task is entrusted to one of these science fellows, name of Martin Goodhue, who is monstrously bright but suffers from a weak heart which prohibits further interplanetary travel . They transplant a new heart into him. Then his lungs give out. They equip him with a new pair. Pretty soon, he acquires new kidneys and endocrin glands and practically a whole new body. By this time he's 102that planet is still hurtling toward the earth during all thisand he's lost all interest in stopping it. In fact, he's fallen in love with a young pretty, one-fifth his age, and is naturally reluctant to tangle with a planet, an operation that will take his life. Goodhue is finally undone by his monstrous brain. It grows too large for his skull which has to be supplanted by a diamond skull, so hideous his girl friend runs out on him. That brings him around. He spins off into space, pushes Nocturne aside and perishes nobly. As you can see, love still manages to mess things up even in the highest scientific circles. So does greed. One of the "2000 Plus" stories was about a scientist  the exact science is never specified, they're just scientists  who had discovered how to "nucleate" dead tissue; how, in short, to bring corpses back to life. The corpse he selected for his first experiment was that of a Pharoah who had been dead 2000 years. His purpose was to discover where the Pharoah had buried his treasure. The Pharoah, though, justifiably indignant at having his 2000-year rest disturbed, stabbed him to death. Much of the action takes place in outer space, the scientists being bored with mother earth, and the intercom system is alive with little cries of "Blast off," "Space Ship JX2  calling earth." My favorite was one in which Space Ship Q3 reported gravely: "We have just passed Saturn and are on our way to Jupiter." Bon Voyage. One can quibble about the relative level of maturity presented in CBS' two attempts with Exploring Space in 1937 and 1941, and of course we had Buck Rogers in The 25th Century airing as early as 1932 and as late as 1947 in various levels of development, as well as The Amazing Interplanetary Adventures Of Flash Gordon beginning in 1935. We're convinced we could find proponents of all three of those preceding space adventures that would argue most passionately about the maturity and farsightedness of their story arcs. What made adult science fiction adult was the sophistication of the situations, plot lines and invariably very adult moral dilemmas posed in their scripts. The moral consequences of, for example, story arcs revolving about the complete destruction of mankind, the degree to which control over robots might--or might not--be attained, the earliest questions about cloning, and issues regarding population control, weren't really mid-America family fare by the 1950s--let alone between 1932 and 1950. Producer/Creator Sherman H. Dreyer had already aired a modern science program for Mutual in 1945. His Exploring the Unknown (1945-1947) may very well have been the spark for his eventual development of 2000 Plus. There are some similarities between the two productions, but any comparison must necessarily be by contrast. Exploring the Unknown raised a topic each week touching on, for their time, the more cutting edge science-impacted topics of the era, in various physical and social sciences: psychology and parapsychology, early nuclear medicine, ethnic and racial unrest, and entymology, as examples. Given some of the more provocative examples cited from Exploring the Unknown, it's not much of a leap to imagine Dreyer's concept of a more dramatic platform upon which to base many of those same explorations as they might logically evolve in the future of each of those disciplines. Indeed, Dreyer presented and promoted 2000 Plus as a hypothesis of how the moral issues surrounding the evolution of man--and mankind's science developments--in the year 2000 and beyond might take shape. Many of those very issues had been explored by contemporary--indeed, even turn of the century--fiction writers as early as 1898. We might well cite H.G. 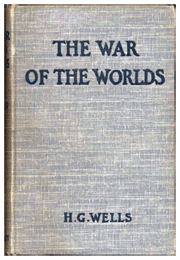 Wells' War of The Worlds (1898) as one example. 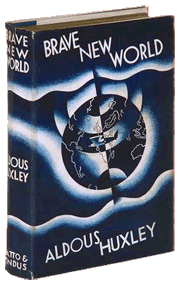 Aldous Huxley's Brave New World had first been published in 1932. 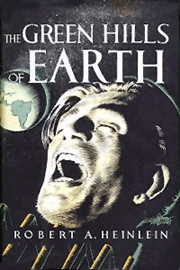 Robert Heinlein's Green Hills of Earth had first been published in the February 8, 1947 issue of the Saturday Evening Post. All three seminal masterworks raised many of the same questions addressed in 2000 Plus. Then, of course, there were the many science fiction digests that were gaining popular acceptance throughout the 1930s to 1950s in their own right. It's also worth noting that the amazing scientific breakthroughs from the World War II era also helped fuel America's fascination with scientific advances--on virtually all fronts. One is reminded of the many 'miracle' drugs that arrived--of necessity--driven by hundreds of thousands of war injuries. Jet and rocket propulsion, of course, made exponential advances during World War II. And of course, it was World War II that ushered in the Atomic Age. Fertile soil, indeed, to fuel the imagination of post-War America. The Mutual Broadcasting System (MBS) wasn't necessarily the most innovative network in Radio, but they did often manage to beat the 'big three' to market with many of Radio's most interesting genre programming, especially during the heyday of Don Lee-Mutual out on the West Coast. 2000 Plus did, indeed, beat NBC to the table by about a month. Dimension X followed closely on its heels. One might well conjecture that if MBS had brought 2000 Plus to the air even six months earlier, it might well have enjoyed the popular acclaim of NBC's Dimension X, for example. 2000 Plus, for its part, clearly had all the makings of a truly exceptional science fiction canon. The sound engineering, in particular, was every bit the equal of anything heard previously on ABC, CBS or NBC. The music scoring for 2000 Plus was also quite effective and forward-looking for the era. An east coast production from beginning to end, the series tapped some of New York's finest dramatic talent for its productions. Indeed, the pace, direction, plot arcs and all-around finish of its productions were every bit the equal of any of MBS's finest popular productions from the early 1940s. In spite of John Crosby's ascerbic observations (above) of science dramas in general, America was clearly ready, willing and able to embrace mainstream science fiction of a more provocative, adult nature. Though 2000 Plus was never quite the equal of the competing sci-fi dramas that succeeded it, it acquitted itself overall. Many of its stories had no equal in either Dimension X or X Minus One five years later. The other limiting factor in comparing 2000 Plus to either Dimension X or X Minus One is in its comparitive scarcity. Run Dates(s)/ Time(s): 50-03-15 to 52-01-02; MBS; Ninety-five (? ), 25-minute programs; Wednesdays, various times. The Other Man has been foisted on inexperienced vintage radio collectors as 50-06-07, The Man Who Found Himself, by simply labeling it as such. An episode of Suspense from March 4, 1962 has been circulated as the, as yet uncirculated, 50-08-02 The Doom Machine. The 51-08-10 Hall of Fantasy episode, The Man from The Second Earth, has been circulated as a non-existent 2000 Plus episode, 53-08-10 The Man From The Second Earth. You may wonder how we discovered these for ourselves. We are--yet again--indebted to nightkey and his Nightkey's OTR MP3 Errors site for alerting us to two of the above scams we found in our own extensive collection. As always, we caution vintage radio collectors--both experienced and novice--to know who they're trading with. And as usual, there are several circulating exemplars of the canon that have been intentionally clipped so as to delete any provenance as their episode order or date. Buyer beware was never more appropriate than in the sordid world of 'commercial otr'. The other Hollywood Star Theater, which will conclude April 1, is to be succeeded by NBC's new Science Fiction Theater to be titled "Out of This World." It will specialize in dramas of planetary travel. In connection with the swing toward science fiction, the MBS series "2,000 Plus" already has started on Wednesday nights. New York (AP)--Coming up tonight: MBS 8 "2000 Plus," first of a series of science fiction adventures in the 21st century. Tomorrow evening, 7:30 to 8, KBND-Mutual Don Lee introduces a new program "2000 Plus," a science fiction series, with the first dramatization "The Hosts Above the Thunder." Such esoteric appliances as flying saucers will assuredly appear old hat as of 9 this pee-em. That's the hour for the unveiling of "2000 PLUS," a new opus by Sherman Dryer, author of Exploring The Unknown." Mr. Dryer and his aide promise to rip the curtain from the unknown, take your mind for a whirl through space, and reveal the world of the future. I'm hopping into my Marmon for a spin to Zion's Bookshop where a copy of "Looking Backward" was recently reported on the bargain shelf. 8 p. m 2,000 Plus 'WKOW: "Journey Into the Germ World." 8 p. m.  2,000 Plus (WKOW): youngsters turn old space ship into "hot rod""
Program announces "The Diamond Helmet" as next episode. Another futuristic drama will be aired on the "2000 Plus" series, this entitled "The Diamond Skull", in which the action takes place during February, 2350 (KMAC.8 p. m.). 50-04-02 St. Louis Post-Dispatch - A 2000 Plus science fiction drama, "The Diamond skull," at 8:30 on KWK. 8 p. m2,000 Plus (WKOW): man uses machine to project himself into year 10.000 A. D.
CONTROL the Moon and you control the world" is the watchword for peace in the years 2,000 plus. How the future policy makers of the world will be about this task will be unfolded on KCKG--KCRK's "2,000 PLUS" broadcast tonight at 8 o'clock. 8 p.m.--2,000 Plus (WKOW): "A Rocket to the Moon." 8 p.m.--2,000 Plus (WKOW): humanity revolts against machines. 50-04-26 Brooklyn Daily Eagle - 9:00--"2,000 Plus," "When the Machines Went Mad," WOR. 2000 Plus-- An inventor uses his newly created tempo-precipitator to speed up the process of evolution and project himself into the year 10,000 A.D. in "The Man Who Conquered Time," KGB at 7:30p.m. 9:00 p.m.--CKLW: Two Thousand Plus: When Machines Went Mad. Program announces: Next week When the Worlds Met. 50-05-03 Wisconsin State Journal - 8 p.m.--2,000 Plus (WKOW): earthlings meet Martians. Program announces: Next week The Silent Noise. 8 p.m.--2,000 Plus (WKOW): crimes continue, but methods change. 50-05-17 Wisconsin State Journal - 8 p.m.--2,000 Plus (WKOW): submarine crew rediscovers Atlantis. 8 p.m.--2,000 Plus (WKOW): "The Man Who Tried to Stop June 8." 8 p.m.--2,000 Plus (WKOW): life on mars. 9:00--WHKO-MBS: Life on the planet Mars is the background for the 2000 Plus drama "The First Men"
8 p.m.--2,000 PLUS: psychoanalytic machine transfers personalities--WKOW. 8 p.m.--2,000 Plus (WKOW): scientist goes to moon to plot Earth's destruction. "The Man Who Found Himself" will be heard on 2000 Plus over KPOI at 7:30 p.m.
9:30 p.m.--CKLW: Two Thousand Plus: "Enemy in Hiding". Bank robberies are not necessarily confined to the 19th Century or to past centuries, according to the program, "2000 Plus." This, at least is the assertion to be made Wednesday at 8 p.m. over WMAK. 2000 Plus--Disappearance of a big city hotel, filled with 20,000 guests, backdrops tonight's chapter, KGB at 7:30. Potentialities of such weapons as electron guns and radio-active missiles in execution of a bank robbery in the coming century will be pointed out when "The Break in the Chain" is presented during the "2000 Plus" broadcast. 9:00--WHKC-MBS: A time machine that can project a subject into the distant past turns up interesting facts when 2000 Pus presents "When Mars Laughed. Program announces: Next week That Which Lived In A Steel Head. MBS--9 2000 Plus, science fiction. Program announces: Next week is "Alone"
WDLP presents a Thanksgiving program "The Thankful Hour" with a host of Hollywood stars. Richard Widmark will narrate and Harry Zimmerman's orchestra will supply the music. MBS facilities tonight from, nine until ten o'clock. James Alexander, who starred in "Oklahoma, Ann Blyth, Ann Jamison, Marina Koshetz, who is currently starred in "The Great Caruso," Rod O'Connor, and Ezio Pinza, the Metropolitan Opera basso who went Broadway and was a sensation as the hero of "South Pacific." special broadcast, ad "The Triumphant Hour," annually aired as part of the network's Easter holiday programming. The current (February, 1951) issue of McCall's magazine features an article, "The Private World of a 14-Year-Old Girl." It was based on a survey made among teen-aged girls and boys in Houston, Tex. And the favorite radio program of these teen-agers, particularly the boys, is Mutual's "2000 Plus" science-fiction dramatic series (Wednesdays, 8 to 8:30 p.m., on WAFB). The results were taken from a questionnaire distributed among 454 junior high school students. Among the most outstanding shows to be heard over the radio today, 2000 Plus ranks very high. In scripting these shows, writers take the audience ahead into the future and live an exciting adventure during 2000 plus. As we laughed at the fantastic drawing in 1930s of Buck Rogers and lived to see them come true, so with 2000 plus, we may laugh at the fantastic stories of the future but then who knows, as you will find out when you listen to these exciting stories. Following Bold Venture tonight at 8 p. m. is one of the most outstanding dramatizations on radio today. The program is entitled 2000 Plus and the stories portrayed take the listener into the future of 2000 years plus. Each week the program deals with some phase of the future in every field of man-made endeavor. Unbelievable, you will say, but the stories are seemingly so logical that they could be true. 52-10-06 Pacific Stars and Stripes - And for those devotees of science fiction, "Two Thousand Plus" will feature an exciting story on medicine in the future. Heard Thursday at 8 p.m., the story will tell of a strange malady that has struck earth from the planet Venus in the year 2324 and how scientists try to fight it. 52-10-16 Pacific Stars and Stripes - Thursday 8 p.m.--"Two Thousand Plus"--What will the criminal be like in Two Thousand plus? Join in the hunt for thugs who are bent on robbing the world bank in "A Break In the Chain." 53-01-05 Pacific Stars and Stripes - Thursday On "Two Thousand Plus" a scientist discovers a way to make men physical giants--without a commensurate growth intellectually--in a science fiction thriller. 53-01-29 Pacific Stars and Stripes - "Two Thousand Plus" at 8 p.m. Thursday, The story of a man who finds himself alone in the world. 53-03-30 Pacific Stars and Stripes - "Two Thousand Plus" at 8 p.m. takes a new twist into the past in search of a dinosaur. 53-04-06 Pacific Stars and Stripes - A battle of creeping death follows in "Two Thousand Plus at 8 p.m.
53-04-20 Pacific Stars and Stripes - At 8 p.m., a scientist poses as a traitor to save the world in "Two Thousand Plus." 53-05-04 Pacific Stars and Stripes - Thursday a scientist joins the land of the dead in "Two Thousand Plus" at 9 p.m.
53-06-08 Pacific Stars and Stripes - Thursday - Twin trouble plagues the man of "Two Thousand Plus" with a 40th century murder at 8 p.m.
53-06-15 Pacific Stars and Stripes - Thursday - A soldier and surgery are the subject of "Two Thousand Plus" at 8 p.m.
Two Thousand Plus at 9:30 pm, when the story of the "Temples of the Pharaohs" is told. AFNotes: This week Two Thousand Plus presents the story of a scientist who builds a time machine which projects him 2,000 years into the future. Hear what strange adventures await this man a.t 9:30 am. Birthplace: St. Marys, Pennsylvania, U.S.A.
Joseph Julian ca. 1960, from Alfred Hitchcock Presents. Joe Julian was born in St. Marys, Pennsylvania. He attended Johns Hopkins University and soon after started his acting career with the Provincetown University Players. Julian began his Radio career with NBC, but by 1940 he was signed with CBS and working steadily in a wide array of many of CBS' most prestigious and popular Radio programs, including Forecast (1940), Columbia Workshop (1942), This Is War (1942), An American In England (1942), Suspense (1942), Words At War (1943), New World A'Comin (1944), Columbia Presents Corwin (1944) and CBS Radio Workshop (1956). 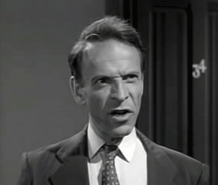 And yes, as is obvious, Joe Julian appeared in every Norman Corwin CBS production that the famous director ever mounted. The remainder of Julian's Radio career reads like a Who's Who of Radio's most popular and critically acclaimed crime, detective, mystery and science fiction dramas. In a Radio career spanning almost forty years, Joseph Julian appeared in well over 5000 Radio productions. Julian's Stage performances included Judgment Day, Walk Into My Parlor, My Heart's in the Highlands, The Rope Dancers, and A Case of Libel, in a Stage career that spanned thirty years. 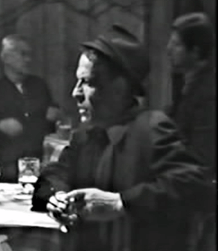 Joe Julian, of necessity, also appeared in several exploitation movies during the 1950s and early 1960s while recovering from the damage caused to his career by the appearance of his name in the cowardly, right wing 'Red Channels' pamphlet. Joe was reduced to fighting the charges over some seven years. Joe authored his book, 'This Was Radio' in response to the injustices of the right-wing red-baiting and union busting attempts throughout the theatrical community of the late 1940s and 1950s. By the 1960s, Julian's transition to Television was equally successful--and impressive. Over a fifteen year career in Television, Julian compiled over 100 appearances in many of The Golden Age of Television's most prestigious drama programs, including Big Story (1956), Alfred Hitchcock Presents (1960), Perry Mason (1961), The Defenders (1962), The Trials of O'Brien (1966), Dark Shadows (1966) and ABC Stage 67 (1967). 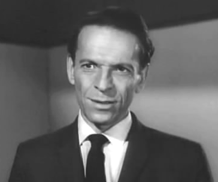 Julian also appeared in numerous daytime melodramas in addition to Dark Shadows. Joe Julian passed away in 1982 at the age of 71, after a remarkable, 45-year career on the Stage, Screen, Radio and Television. As a reflection of his extraordinary career in the theater, Joseph Julian's memorial service was held at the American Renaissance Theater in New York. One glance at Julian's Radiography at the left shows a career marked as much for its prolific output, as for his repeated appearances in virtually all of Radio's most patriotic and inspirational wartime tributes. This fine actor was also a fine, selfless, patriotic American. His body of work in Radio alone stands on its own as a reflection of his patriotism. Norman Corwin was right. Joe Julian was one of America's finest, most effective and most versatile performers.